I'm a little late posting about this month's box as the postman managed to deliver it to the wrong address last week, but I finally got hold of it this evening! 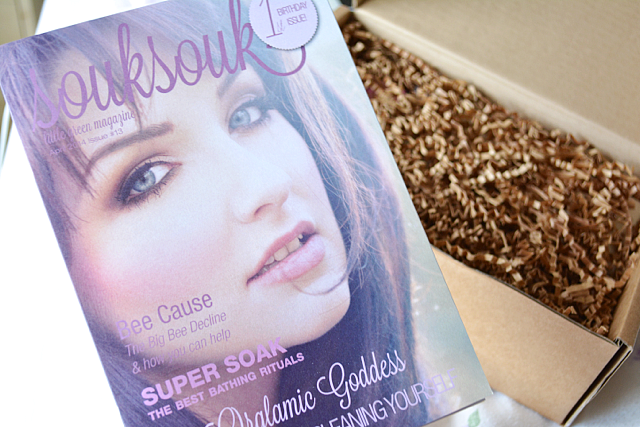 April marks the 1st birthday of SoukSouk's Little Green Beauty Box - Happy Birthday SoukSouk! All the products featured in this month's box are ones I've never tried before, so it's always nice to discover something new! I've heard a lot great reviews of Kris D'Amour skincare so I'm looking forward to giving these samples a try. 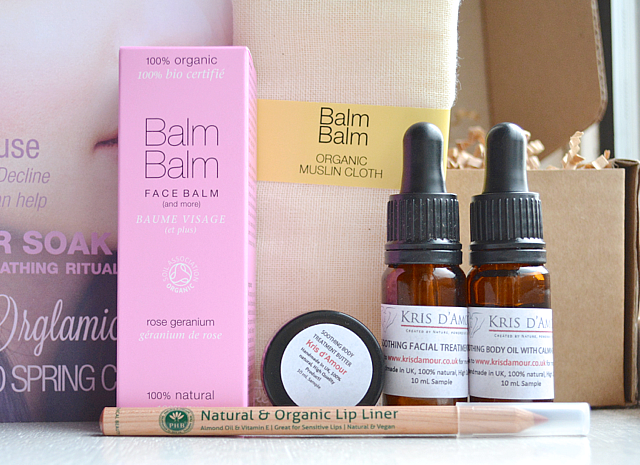 I think I'll probably end up giving away the face balm and lip liner to someone else as I'm not likely to use them myself - I have a few similar balm products already and I've never been a lip liner fan! I'm still totally appreciating the great selection and value of products chosen this month though! As always, I'm looking forward to seeing what new brands and products SoukSouk will be introducing me to next month! What do you think of this month's box? Have you tried any of these products before? This sounds like a really interesting box Ria, and I am curious to read more about Kris D'Amour products :) Shame about the lipliner, I wonder how pigmented it is :/ I am always looking to try new green make-up products!